I am truly amazed at all of this knowledge: I need more than I have and am inquireing about books that I can study besides my own greek and hebrew concordance-more expansive in illustrating the length, breadths & depths of this wonderfull hebrew language –please advise!! I’m absolutely amazed! As they say in Israel – Chaval Al HaZeman – imagine all this time that I wasn’t aware of your website until now! I also have a Gematriot website – http://www.gematriot.blogspot, which is nearly two years old, in which my latest post #76 mentions Rabbi Shimon Bar Yochai, author of the Zohar, in connection with Tu B’Av. Rabbi Ashlag or other Mekubalim saying that 5778 is the year of redemption? I would seek out R’ Abulafia’s books. Any translations of R’ Chaim Vital and the Arizal (R’ Isaac Luria). Aryeh’ Kaplan’s Sefer Yetzirah, and some of the books, such as The Future Temple by R’ Chaim Luzzatto. Let us know how it goes. Thanks and thanks for sharing. BTW, I was born on Rosh Chodesh as well, Elul, and by pure chance, bu name, Ezra has the same gematria (278) as “The Gematria.” But to answer your question, the year 5778 was kept out of print for obvious reason until our generation. My teacher received it the knowledge directly from his teacher and Uncle, Rav Yehuda Halevi Ashlag, and he passed it on to me. I only published it at his insistence, and his hope that the whole world would have the opportunity to share in the Tree-of-Life reality, as as he explained it’s no coincidence that the initials ofYts Chaim (Tree-of-life) spell out 78 as in 5778. 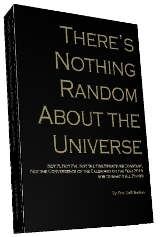 He further explained how the date 5778 is by no means random and as Rav Ashlag explained was based in the deeply engraved kabbalistic principle of 2/3 (.666). 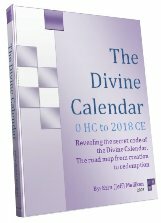 You can read much more about this in The Divine Calendar, and There’s Nothing random in the Universe, and in specific articles we’ve written on the subject in this blog. Previous Previous post: What the 10 Sefirot Reveal? Next Next post: The Monument is Giving Up its Secrets!